An incredible variety of bee species exist. Honeybees represent only a small fraction of the larger bee family, which is made up of over 20,000 species of bees world-wide. There are over 4,000 species native to the United States. The Western or European honey bee Apis mellifera is native to Africa and Europe. It was introduced into the New World even before the early 1600’s, with the early American settlers. Initially, only European subspecies of honeybees were introduced into the Americas, since they were productive in temperate North America, but less so in the tropical and subtropical climates of Central and South America. The African honeybee subspecies, Apis mellifera scutellata, was introduced into the America’s in the late 1950’s. They spread rapidly through South and Central America, finally reaching the North American border in Hidalgo, TX in 1990. However, preceding their arrival in Texas, fear of their presence hit the media, creating an unfortunate phenomenon of fear directed towards the honeybee that would infiltrate the general public for generations. There are twelve deep sea ports in Florida and twenty-four deep sea ports though out all of the Caribbean islands. The bees were first reported in Florida in 2002, where they were discovered in a swarm trap at a deep sea port in Tampa, FL. 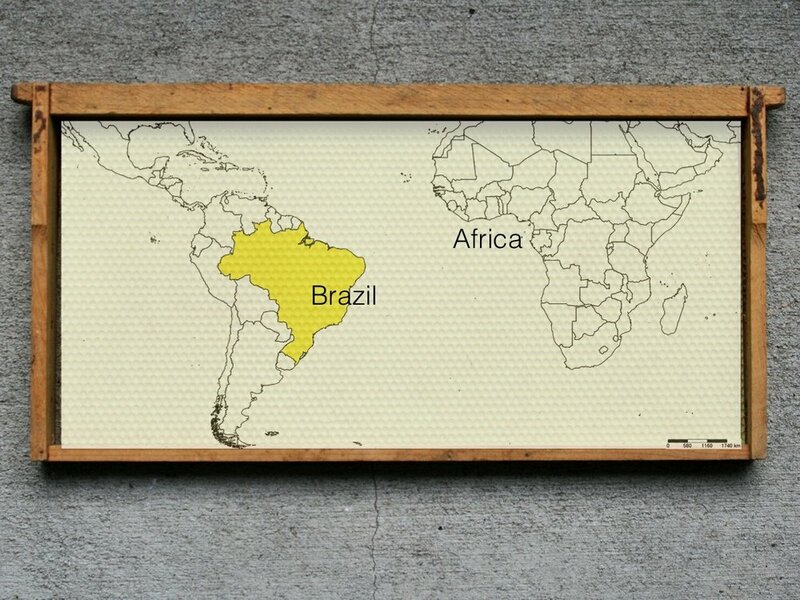 That takes us to South America. 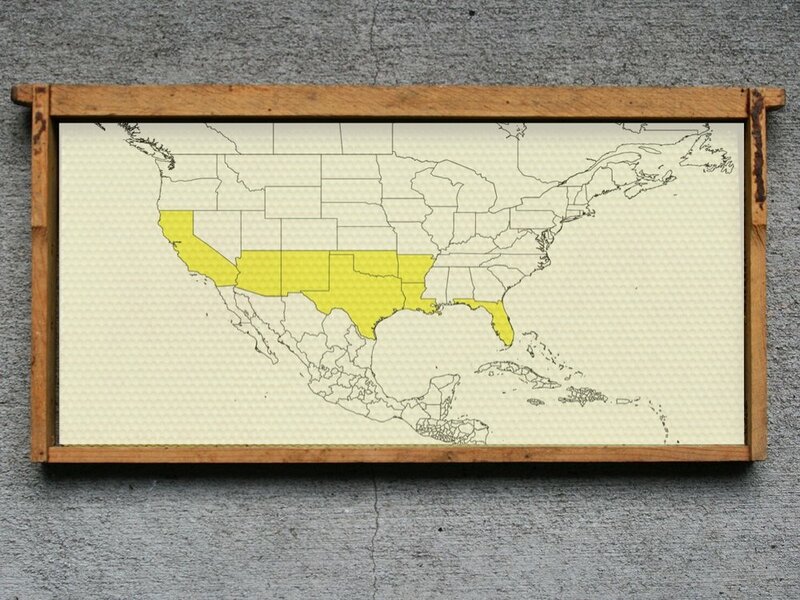 At first, only European honeybees were introduced into the Americas, since they were productive in the United States. But they weren’t adapting as well less to the tropical and subtropical climates of Central and South America.